Musician and video editor Doug Barber creates a six track album and music video entitled “Tertle.” Barber’s compositions are built of his thoughts, reactions, and wanderings of this month. It is truly fitting to have our Musical Director and one of CabinFever’s first company members finish our CabinFever Presents series. Words first, then video, then music. This was gonna be just musics. A song for every month. A kind of “Woo! 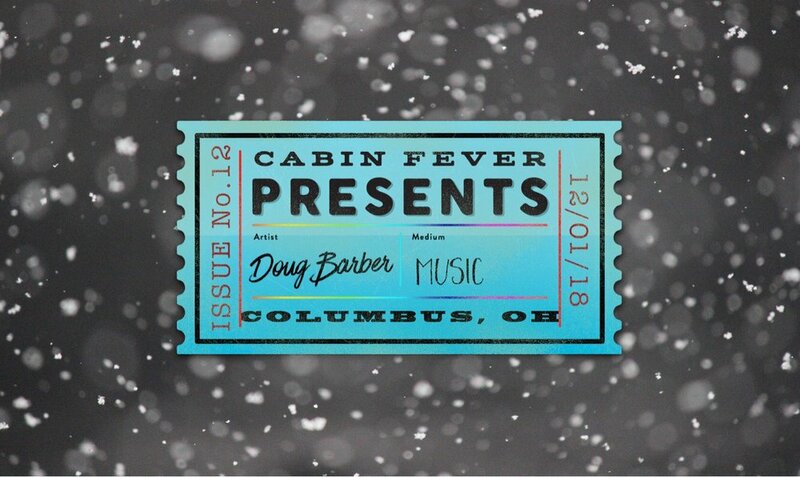 We did it!” to the 12 installments of CabinFever Presents. Hee haw. Got an ear infection. Ruptured eardrum. Everything sounding like it's underwater. So, here is a little bit of songs plus a video. Pushed me into a lot of areas I never would have gone into. Here we are. In Ohio. My biggest hope is that people take some time to click through the previous 11 installments. 11 original thingies by magical people. It’s all over the place and I love it. Super happy to have a role in this. Big big thanks to Elana, Pat, and Emily.